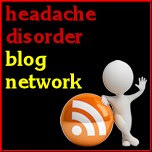 Migraine Monologues: Botox on NHS one step closer! Well this morning the British media is buzzing with the news that Botox may soon be available on the NHS for those suffering with chronic migraine. Radio 4 are even talking about it. It's not even 7.30am as I type this and already I've had several emails and my Twitter time line is jam packed with the news. NICE (National Institute for Health and Clinical Excellence) are now going to recommend Botox for certain patients, following on from February when they asked Allergan (the manufacturer) to provide more proof of its efficacy. But let's not get carried away. Botox isn't for every one. These guidelines only reccomend its use for chronic sufferers - which The International Headache Society define as someone who gets a headache on at least 15 days a month, 8 of which have to be migraine, over a three month period. 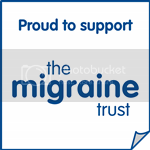 Figures vary but there are an estimated 700,000 chronic migraine sufferers in the UK. Furthermore, the guidelines only suggest the use of Botox when three other migraine preventative medications have failed (look at my Tried & Tested page to see how many I have taken over the years) and when Medication Over -Use Headache isn't a factor. So basically don't all run to your Doctor hoping to get a smooth forehead whilst getting rid of those headaches in one fell swoop. I've actually tried one round of Botox which you can read all about here (and marvel at some lovely pictures of my forehead) but you really need three cycles of treatment to determine efficacy. Anyway, overall this is brilliant news as I had to cough up for my Botox and it ain't cheap. So if you want to find out more I urge you to watch this video on the Sky News website as it features Dr Elrington who not only wears a very snazzy bow tie but, more importantly, is the Medical Director of the National Migraine Centre where you can currently get Botox. The video also explains how Botox is believed to work (but as with most migraine preventatives no one really knows yet!) If you can't wait for the NICE guidelines to go through and want to talk to a migraine specialist about whether or not Botox would be a viable option for you, give The National Migraine Centre a call.